Meningitis is a life-threatening illness that causes inflammation of the meninges - the protective membranes that shield the brain and spinal cord. The inflammation is usually caused by infection of the fluid surrounding the brain and spinal cord by bacteria, viruses or fungi. Other less common causes of meningitis include physical injury, cancer and certain drugs. The severity of illness and the treatment for meningitis differ depending on the cause. Thus, it is important to know the specific cause of meningitis. On September 26, 2012 the FDA announced a recall of three lots of methylprednisolone acetate (a steroid product), made by the New England Compounding Center in Framingham, Mass.. Somehow, the sealed vials, received by 23 states, had been contaminated with Exserohilum Rostratum, a fungus found in soil and plants. The Centers for Disease Control and Prevention (CDC) is currently working with the FDA and state and local health departments and to investigate the multistate outbreak of fungal meningitis which originated when patients were injected with the contaminated steroids. The CDC and state health departments estimate that approximately 14,000 patients were exposed to the three implicated lots of methylprednisolone, and as of October 20, 2012, nearly 97% of those exposed had been contacted for further follow-up. To see a list of facilities that received the tainted steroid, see. Unlike bacterial meningitis, fungal meningitis is not contagious. Hence, only those who received the tainted steroid injections are at risk for infection. So far, the CDC has confirmed only 54 cases of CDC laboratory-confirmed fungal meningitis, however the tally of total cases as a result of the outbreak is up to 424 (see the chart below for a state-by-state breakdown). Patients and clinicians must watch closely for onset of symptoms. In this outbreak, symptoms have been slow to develop, typically appearing one to four weeks after injection. However, because longer and shorter periods between injection and onset of symptoms have been reported, the CDC is urging patients and physicians need to remain vigilant for symptoms that might manifest even several months after injection. Contact us now for a free consultation if you or a loved one have contracted fungal meningitis from a contaminated methylprednisolone acetate injection and think you deserve compensation for your loss of health, loss of life or unforeseen medical expenses. 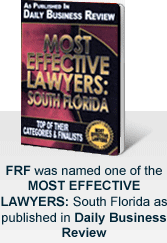 Our Miami fungal meningitis attorneys are committed to helping you at no cost until you receive compensation. Please call to schedule a free consult with us at 305-448-8585 or toll free at 877- 448-8585.